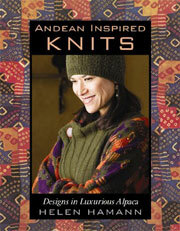 The book uses the cotton yarns of the Araucania Yarn Collection. 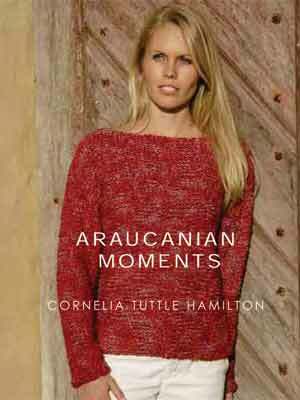 The author has used Patagonia and Pehuen both 100% cotton. The Patagonia is a chunky slub yarn while the Pehuen has an interesting twist to it. And the third yarn in the book is Quellon, which is 82% Viscose and 18% Cotton and is super soft! 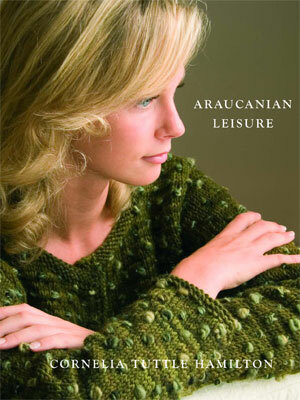 Because of the hand dyed nature of the yarns, Araucania recommend that garments are knitted with two hanks in assorted rows of 2 or 4. 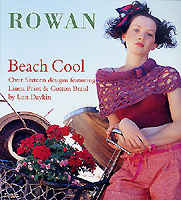 I asked my knitters to use 2 rows, as it means the yarn can be easily carried up the side.